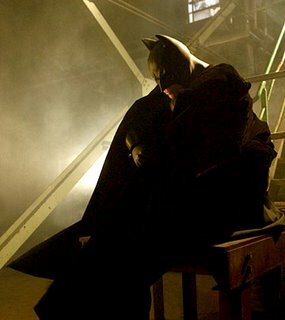 "It's Batman Begins! There's a whole theme that's written and on purpose not in the movie. We were basically betting that this movie might work out alright and there would be another one, so we wanted the character to develop. He hasn't earned that theme yet!" I wasn't a big fan of Nolan's naturalistic take on Batman, and I'm hoping the next film, The Dark Knight, which will feature The Joker, is a better film. And the presence of a unifying musical theme will be nice. The dissonant disconnection of the first score works, but there really does need to be more thematic development I think. Now we know the reason why. Kudos to Zimmer and Howard. I look forward to hearing this new score.